King Digital Entertainment PLC (NYSE: KING) stock fell 15.6% Wednesday, its first trading day, in the worst initial public offering (IPO) debut of the year. On Tuesday evening, Dublin, Ireland-based King Digital priced its IPO at $22.50, valuing the company at around $7.1 billion and making it the largest U.S. IPO from the mobile gaming industry in history. The King IPO price will be released sometime today (Tuesday), and will likely be at the top of the price range. 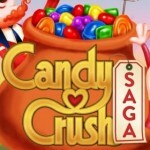 That means the Candy Crush-maker's IPO could be valued as high as $7.6 billion - about 2.9 times more than King's projected sales this year, according to a revenue estimate by Sterne Agee & Leach Inc.
A Candy Crush Saga IPO could be in the offing as its maker King is lining up banks to put together a U.S. initial public offering, according to The Wall Street Journal. 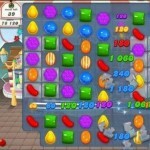 King's game Candy Crush Saga is presently the #1 game on Facebook (Nasdaq: FB) and the 2nd-most popular free game available on Apple Inc.'s (Nasdaq: AAPL) App Store. There is a lot of excitement surrounding King's announcement, but also a fair share of wariness. That's because King's Cinderella story isn't unique. Remember the dramatic tale of Zynga Inc. (Nasdaq: ZNGA)? The online gaming giant made the massively popular Facebook-based FarmVille game and acquired several makers of other hit games. In 2011, it priced its IPO at $10 a share, making it the biggest Internet IPO since Google's (Nasdaq: GOOG) back in 2004. By early 2012, Zynga was worth $11.5 billion. Indeed, Zynga looked to be going nowhere but up.